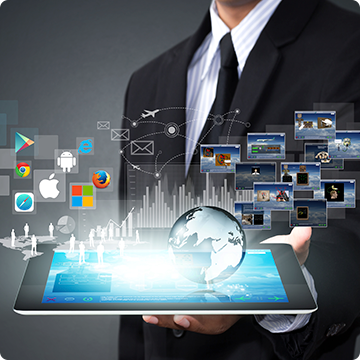 CPAT GLOBAL provides Aviation Learning Solutions to Airlines and Aviation Professionals worldwide through Computer Based Training Courses and Learning Management Systems. We offer Distance Learning and Computer Based Training for most of the world’s commercial aircrafts including Boeing, Airbus, McDonnell Douglas, Embraer, Fokker, and ATR Aircraft. In addition to aircraft specific training, our library of General Subjects and Pilot Specialty Courses cover a wide range of subjects from Wind Shear to HAZMAT, Hazardous Weather to Cockpit Resource Management. Talk to us about the variety of online aviation courses we offer. 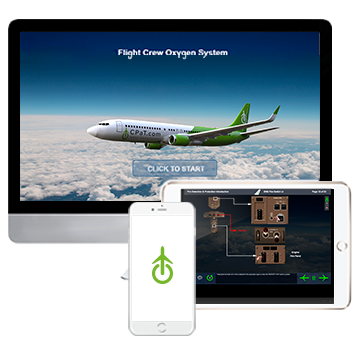 Our aviation pilot training solutions are interactive, easy to use and engage users in a learning experience that allows you and your company to meet your learning objectives. Our courseware also allows for selectable languages both in text and audio. This can help new pilots learn a system while practicing their Aviation English. CPaT mobile provides an Online and Offline solution to the CPaT Course Catalog developed for PC, Mac, iOS, iPad, iPhone, Linux and Android Platforms. * This app allows our Learning Management System (LMS) users to view their online pilot training progress, launch into their online account, and best of all, take their interactive training offline by downloading the desired material. 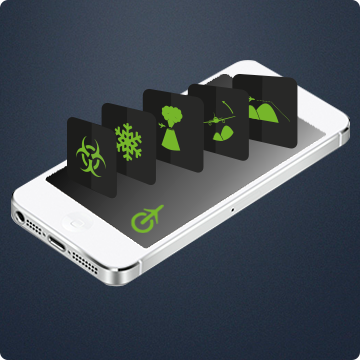 CPaT Mobile allows users the convenience of both Online and Offline Training. Once downloaded, the material will be available without the need for an internet connection and can be viewed at the users convenience. When a connection to the web can be made, the data accumulated from the downloaded content may be synchronized back to the CPaT LMS with a simple click of a button. Our goal is to make your online pilot training experience simple and convenient. * Offline training is only available on the iPad. * Android App Available soon. Contact us anytime to learn more details about our pilot training solutions. We offer Distance Learning and Computer Based Training for most of the world’s commercial aircrafts. Includes a customizable dashboard for access to all of the administration features you need to manage your training. CPaT Global has lead the way in Computer Based Training since 1994. We offer Distance Learning and Computer based Training for most commercial aircraft. Our Customer Service and Support is the best in the Aviation Training Industry with 24 hours per day, 7 days a week.